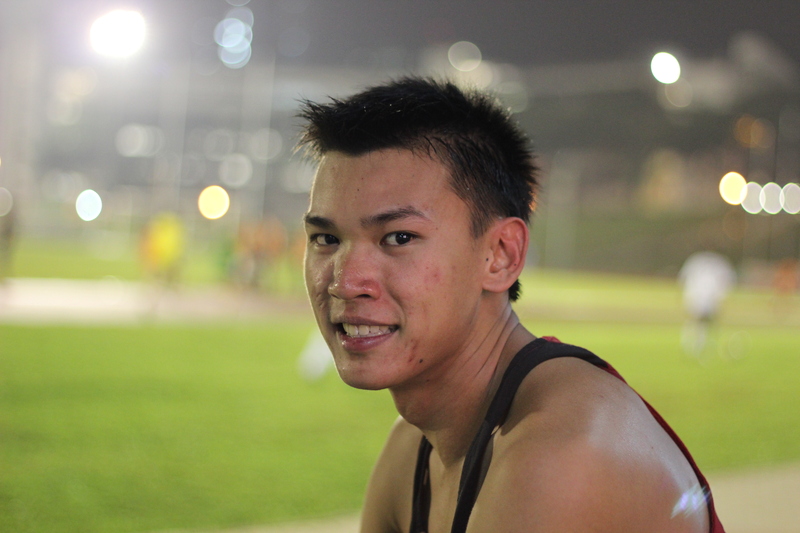 Lance Tan, SG national team 400m runner. It was 2008 when I first got a call from Lance that something bad happened. He just tore his ACL during a football match. I remember visiting him right after his operation and seeing him with a braced up leg. The doctors told him he couldn’t run competitive again. For someone that has been running quick since he was 13, what a blow it must have been. All the hopes and dreams, falling apart right in front of him. But he didn’t choose to believe that, for he still had a fight in him. 1 year later, he ran his PB, cutting his old record by a whole second (which in 400m terms is a massive deal). Cause sometimes the only person you gotta to believe is yourself. Well bro, remember the pact we made? I still have that poster you gave me before I left for Loughborough. We might be getting a little old, and we haven’t gotten as quick as we hoped. But you know what, after all these years, it’s amazing that we’re still here, and that we’re still fighting. So let’s finish that fight my brother, doesn’t matter how it’ll end up, but let’s make it one that’s worth remembering before we start to fade. 535 days to go, get moving. p.s. About the quote, the bumble bee can definitely fly thanks to the laws of physics. The quote is referring to a time when the scientist haven’t figured out how it could with the knowledge of that time. Click to see the wikipedia link about this (refer to the myth section of the article). Stepping to my dream, four years late 😀 hope to do Singapore proud! Winners don’t quit, Quiters don’t win.